Like it hard? 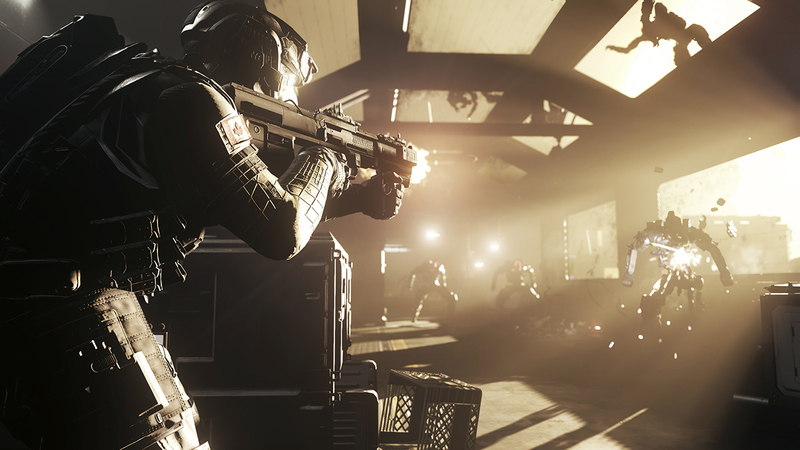 Call of Duty: Infinite Warfare aims to deliver the goods. Call of Duty: Infinite Warfare has two special, extra-hard difficulty modes for those who chew through the campaign and want a tougher challenge. Np health regeneration. Healing from Nano Shots only. Helmets take permanent damage and need to be replaced. Nano Shots and helmets take up equipment slots. Movement impacted by receiving leg shots. Aim down sights and equipment use affected by receiving arm shots. Enemies can shoot weapons out of your hands. Activision said mastering Call of Duty: Infinite Warfare’s cover mechanics will be key to surviving this mode. Lessons learned will stand you in good stead for the next new difficulty mode, YOLO, which offers permadeath – one life only. You need to complete Call of Duty: Infinite Warfare’s campaign in Specialist mode to unlock YOLO mode. The rest of the blog post has some tips for various modes, which might be worth brushing up on before Call of Duty: Infinite Warfare launches this week. Sometimes I forget Call of Duty has single-player campaigns, because the multiplayer seems to overshadow everything. Now that it’s gone all sci-fi maybe I’ll even give Call of Duty: Infinite Warfare a go.